“The first impression is the most important”, we use to say. You can probably hear this being said in everywhere around the world; everywhere apart from China, because in this country such a statement just does not fit. We could define China itself as an endless first impression. As soon as landed, we saw exactly what we expected before leaving: a spread feeling of shabbiness, enormous blocks of flat, dark sky. But China is much more, infinitely more, as we soon realised. We spent 30 days in the country, the first three weeks in Chongqing, and then a final period in Beijing. Chongqing University provided us with room and board and, of course, Chinese language classes that we attended every morning from Monday to Friday. This gave us the opportunity to become aware of the environment inside a Chinese university campus, but also to explore the city and participate in many meetings. I would like here to share some impressions of the most significant moments of our stay. We visited Nankai High School, ranked in the top 100 Chinese high schools. A 21 year-old teacher showed us the campus and classrooms. It does not sound as anything special, does it? Yet it offered a unique insight on the life of wealthy Chinese students. All of them seemed fascinated and attracted by the US, and are planning to move there for university studies; it goes without saying that they are all fluent in English, which is not often the case for Chinese youngsters. We also found out that these students do not have any particular hobby after school hours, as they have classes every day from 7:30 to 22:00, and even on weekends sometimes. This hard working attitude is overwhelming and deeply shaped by the education system. Just few days later, we met with Daphne Zhang, a consultant with a background in languages, working for “Asia Pacific Access”, a relatively small consulting group. Her work mainly consists in helping companies to set up new business in the country, and to make it efficient. The meeting was of great interest especially because of Daphne’s awareness of Chinese society, as compared with that of other countries. We cannot but mention our fantastic experience of visiting two factories, both in the automotive sector; one is Saic-Iveco-Hongyan (SIH), a Sino-Italian joint venture, where Iveco is the foreign partner, and the another is Brose, under solely German ownership. Letting aside the technical issues, it was extremely interesting to observe the differences in the organisation structure of the two plants: the German firm appeared to have a quite rigid structure, with many facilities for workers, but longer work shifts; the production process looked very accurate, and the offices spotless. On the other side, SIH seemed not as precisely organised, but definitely more apt to flexibility, and to more easily accomplish extra workloads. During the final week in Chongqing, we had the chance to visit the studio of a prestigious Chinese law firm – Zhonghao and partners – with branches around China and in the US, which provides companies with legal assistance. We were offered a great overview of the legal procedures and of the main aspects characterising the articulated commercial law in China. In Chongqing, we also met with the Italian Consul General of the Municipality, Sergio Maffettone, and with the President of the local branch of the China-Italy Chamber of Commerce, Paolo Bazzoni. In Beijing, we were welcomed at the Italian Embassy, where we had the chance to talk with the Scientific Attaché, Plinio Innocenzi, the Financial Attaché and the President of the China-Italy Chamber of Commerce, Lorenzo Bencivelli and Sergio Bertasi, as well as with the Legal Attaché and China expert, Federico Antonelli. 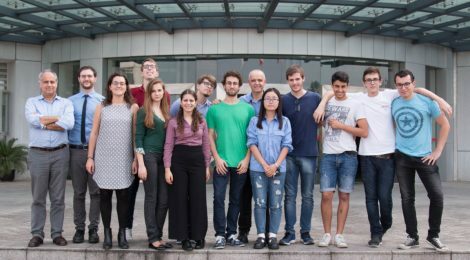 Even if on different aspects, the main aim of the various institutions is to provide Italian citizens in China with support and consultancy in many fields, with some departments focusing on the support to enterprises. The aim is to create a network system supporting the different Italian realities active in a tricky country like China. 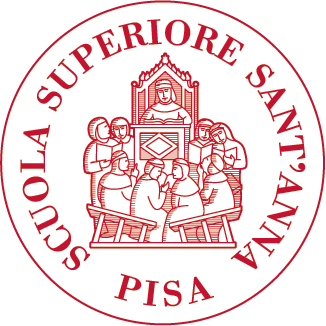 They play a crucial role also in the promotion of Italian culture and language, with the key contribution of other institutes, such as the Galileo Galilei Italian Institute. Finally, the Italian Embassy has the important task of monitoring the country from different perspectives, including the status of its economy, society, and patent policy, in order to keep the Italian government informed and to readily take action when needed. For instance, the slowdown of China’s economy growth rate could have an impact on Italian investments, so it is important that our experts analyse the trend from inside the country. 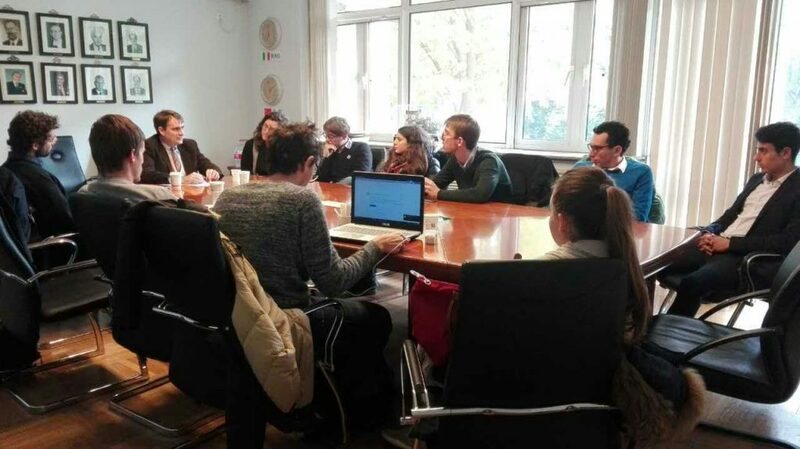 In the capital, we also met some representatives of Tech Silu – an association whose aim is to match European talents and Chinese investors – and had the opportunity to hear their view about the different socio-economic challenges China is currently facing. 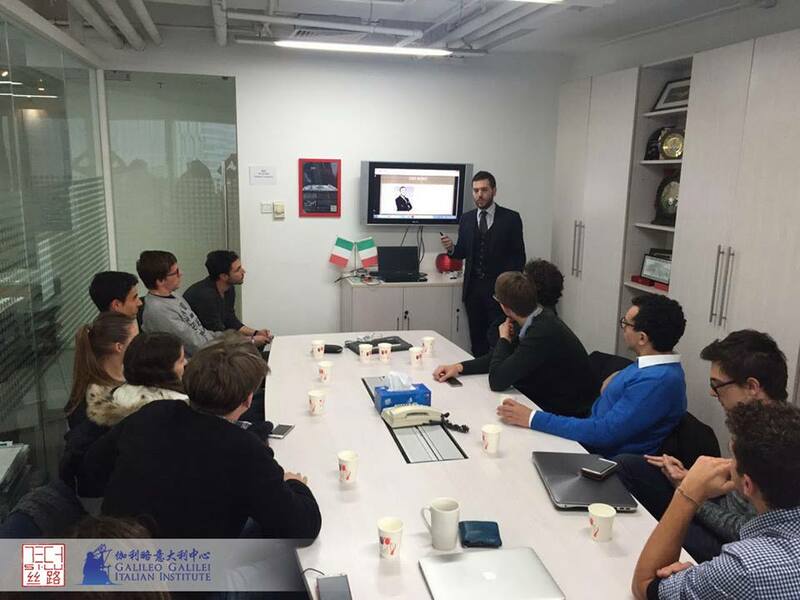 More specifically, they presented the Startup environment, the opportunities in China’s major and most innovative cities, and gave us an introduction about the Chinese business etiquette and how to behave on business meetings and negotiations. Of particular interest, their overview of the Chinese Startup ecosystem and its trends: a dynamic reality, with disruptive innovative capability, which can have a lifespan of just a few years. Francesco Lorenzini and Jacopo Bettinelli shared the experience of working for the development of a network between our two countries, by facilitating investments coming from Chinese funds, private equity or venture capital backed companies into Italian Startups. Tech Silu has already succeeded in bringing an amount of €550.000 of investments in Italy with another €8 million of investments planned by December 2017. As for the Chinese etiquette, we learned the importance of always being extremely polite, yet we also realised it is almost impossible to really behave how a Chinese person would. As Westerners, we can follow Chinese manners, but, at the same time, we still maintain some aspects of our Western approach. The best practice stands in the middle, balancing between Western habits and the Asian more indirect way of interaction, avoiding physical contact and respecting many formalisms during speeches, meals, etc… One should try to be humble and discrete. Moreover, before setting up a business or signing an agreement, the Chinese partners want to get to know the people they are going to work with, and for this to happen, the rules of etiquette need to be respected. In conclusion, we can say we had a truly great time in this literally indescribable country. And I hope I will have other opportunities to spend some time in China; it simply offers a genuine unique experience!